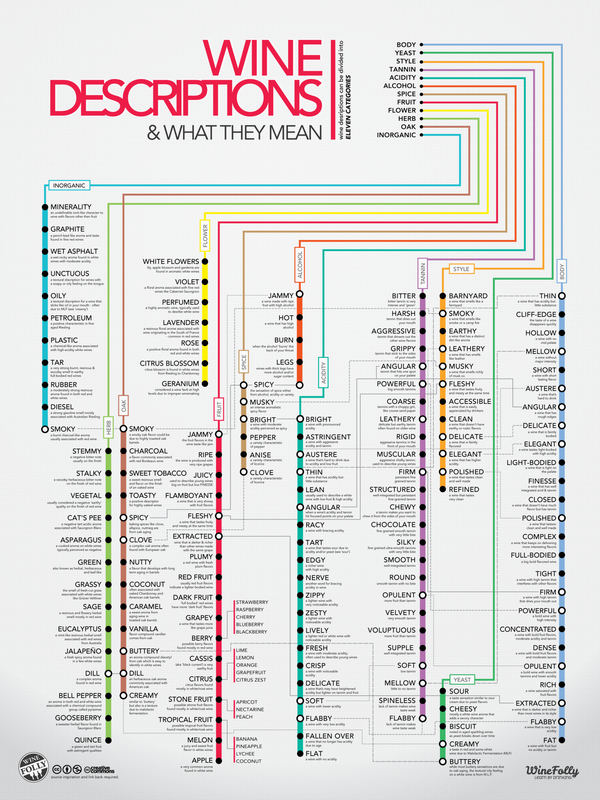 This is a very helpful chart with 120 key wine descriptions and adjectives for a range of wine styles. You can see a larger wine chart here and even order it as a poster from Wine Folly. You may also find the UC Davis Wine Aroma Wheel helpful.